Toowoomba during the winter period can create a perfect environment for mould to spread through the home due to the home being closed up and heaters running to create a warm and moist environment. Our windows are not opened and a home does not get enough ventilation to dry out the home. The tenant must keep the premises clean, having regards to their condition at the start of the tenancy. There also could be a structural issue causing mould to grow, such as a roof leak from the roof tiles or sheeting. Also the gutters could be full or require repairs. If you could please report any issues to the office so we are able to seek instructions from the owner to investigate any issues. 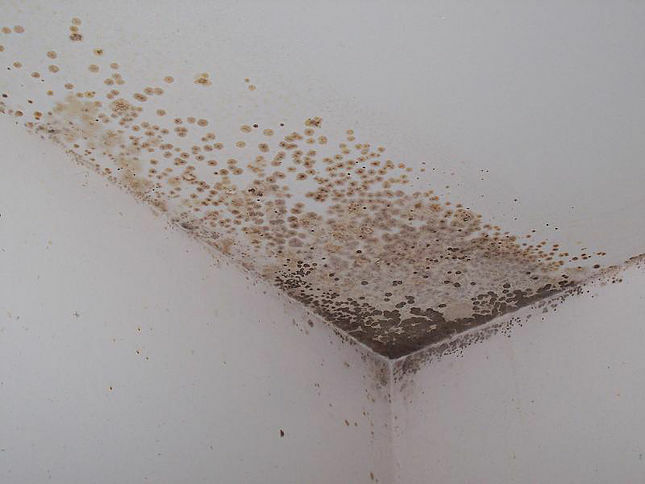 The mould must be cleaned and removed there is a number of solutions to remove mould available on the internet and in the supermarkets, we also have a fact sheet at the office if you would like a copy please email the office on admin@tcrealty.com.au and one can be forwarded to you. Possible solutions and cleaning suggestions. Believe it or not, soap and water are effective in removing mould if the growth is not too deep or too severe. All you need to do is scrub the affected area with a strong cleansing soap and water. Chlorine bleach is also an effective solution in removing moulds. Chlorine bleach contains hydrogen peroxide, which has strong oxidizing properties, so handle it with care and keep it away from children and pets. This chemical solution also contains strong bacterial properties, as well as sterilizing and disinfecting properties. To use chlorine bleach as a mould removal, mix a cup of the bleach into a gallon of water, making sure that the mixture is well incorporated. Place the solution in a spray bottle and spray it on to the surfaces where mould is growing. It is important to remember that this remedy can not be used on surfaces that may stain or react with the bleach, including metal, cloth, and wood. Because of the bleaching properties of the chlorine, the surface may be ruined or stained. Tea tree oil is an uncommonly known ingredient for removing mould in your home. Although tea tree oil can be quite expensive in large quantities, it is an effective, all-natural home remedy for removing mould. Tea tree oil has antibacterial, anti-fungal, antiviral, and antiseptic properties, making it a strong ingredient. As a result, using tea tree oil as a home remedy to remove moulds should be done with care. In its pure form, it is toxic if ingested and can cause severe internal damage. All you need for this home remedy is 1 teaspoon of the tea tree oil and 2 cups of water. Pour both liquids into a container or spray bottle. Mix well to combine the two ingredients. Spray or apply the solution to the affected areas and let it sit and dry out. This solution is great for almost any item, including cabinets, walls, drawers, and clothes. The smell of the tree tea oil can be strong at first, but after a few days the smell will dissipate on its own. If white vinegar is an effective ingredient to remove the smell of mould or mildew, it only makes common sense that it will also be a great ingredient for killing and removing mould. However, you do need to use white vinegar in its pure form without mixing it with water or other liquids. In some cases, white vinegar can kill about 82% of mould, making it an effective home remedy solution. Just pour or spray the white vinegar in the affected area and let it sit. Do not rinse the area once the vinegar has dried up. After a few hours, the mould and the acidic smell from the vinegar will disappear.